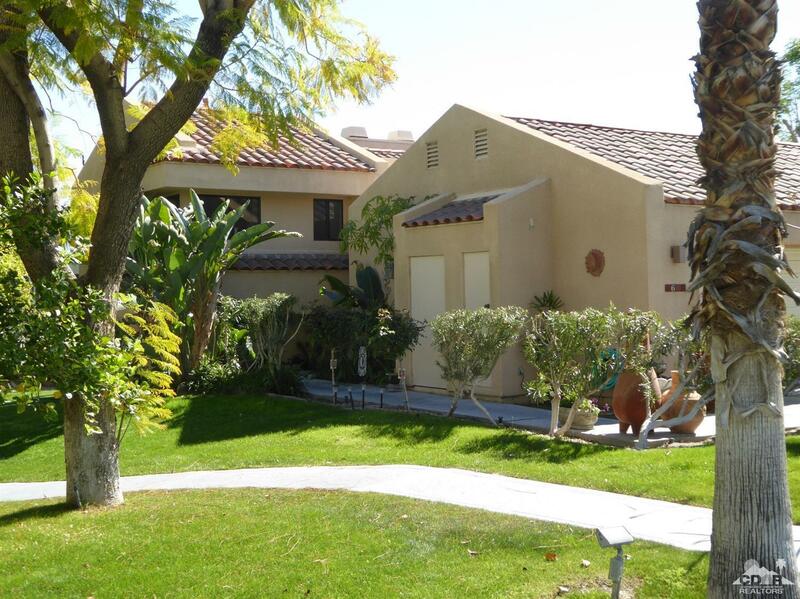 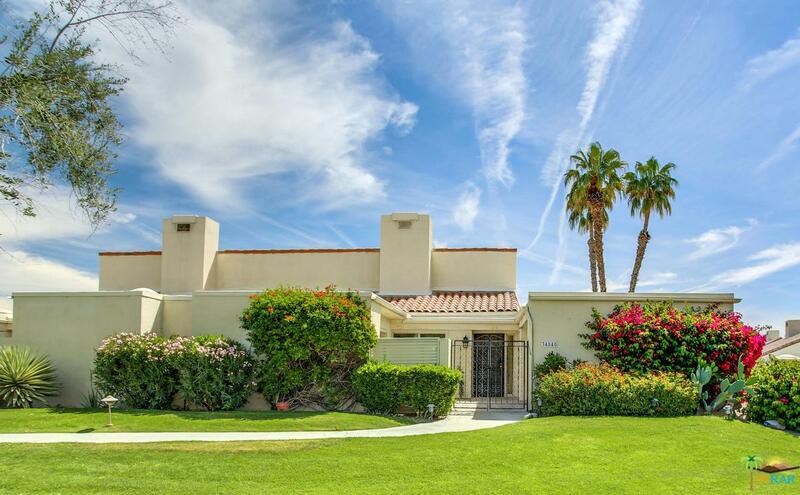 No detail was missed while modernizing this 3 bedroom (one furnished as a den), 3 bathroom golf course retreat in Mission Hills Country Club. 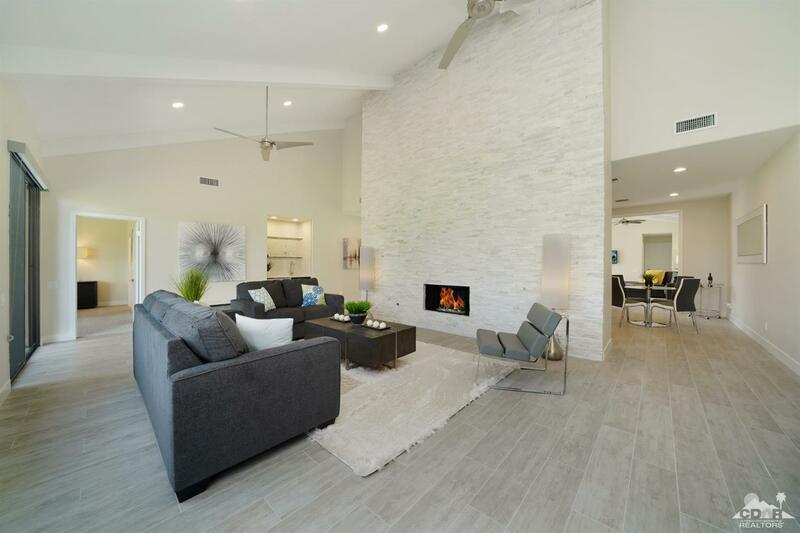 Among the many designer upgrades throughout the house you will fall in love with the open kitchen featuring quartz counters, a stunning waterfall eating bar, herringbone backsplash, soft-close espresso finished cabinets & stainless appliances. 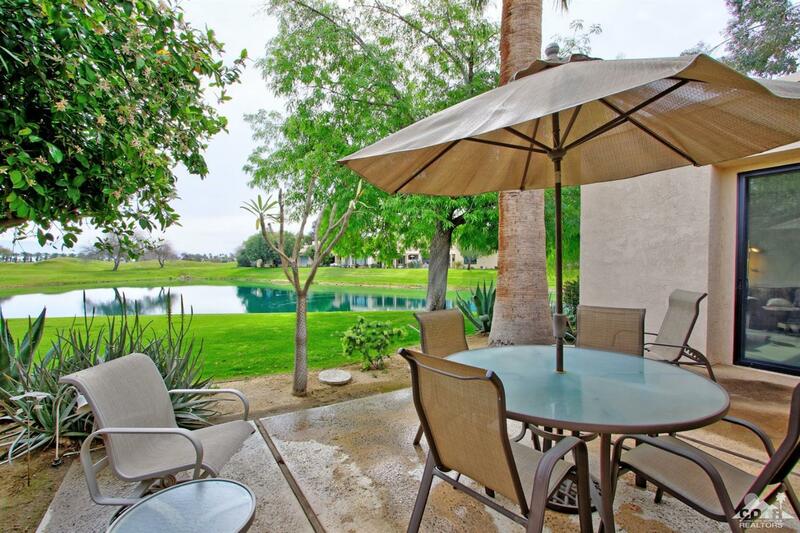 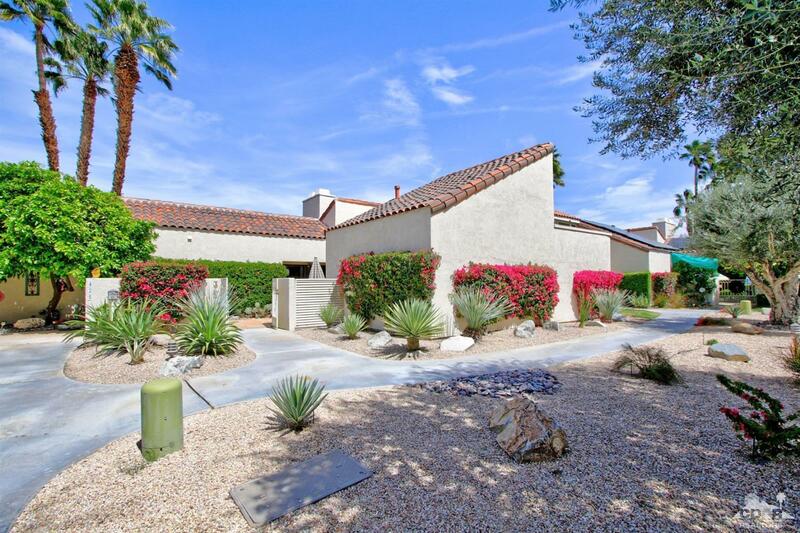 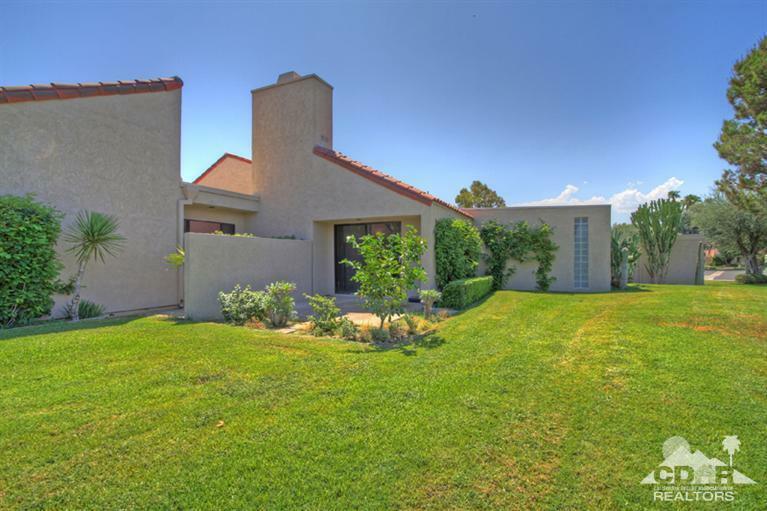 Wood-like tile floors cover the gated courtyard extend through the house and carry on to the rear patio which takes advantage of picturesque Golf Course & Mountain Views. 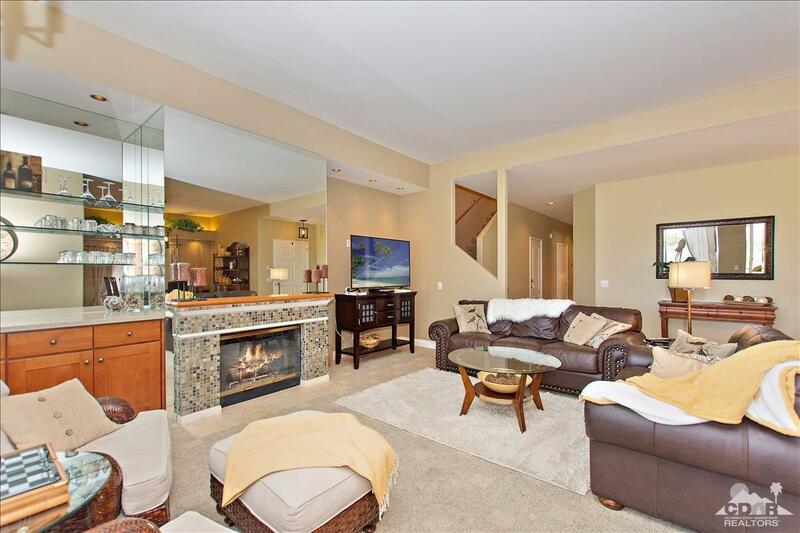 The great room is sure to impress with the massive fireplace wall covered in stacked stone. 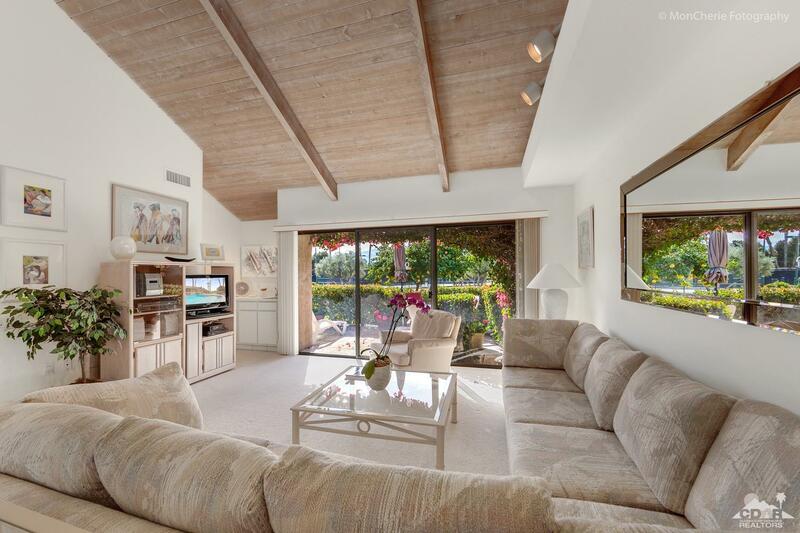 The master bedroom has stunning views, warm carpeted floor, walk-in closet and an impressively redesigned bathroom. 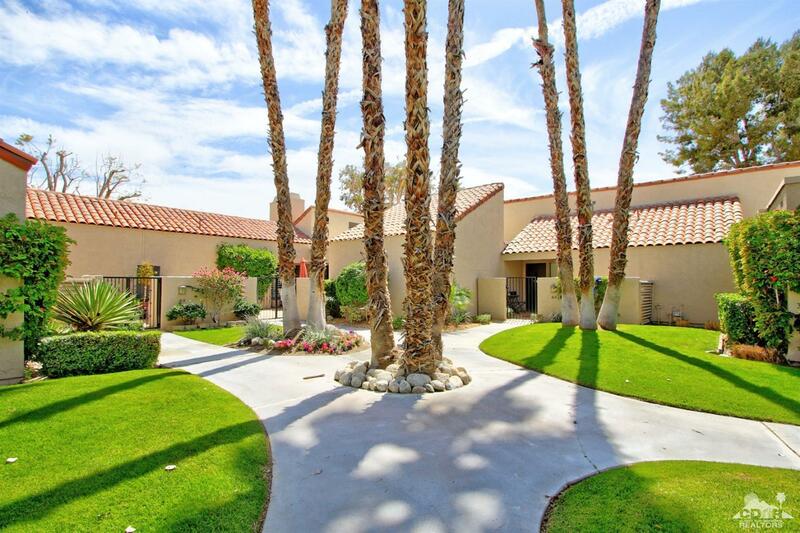 All 3 bathrooms feature quartz counters & dramatic floor to ceiling designer tile showers. 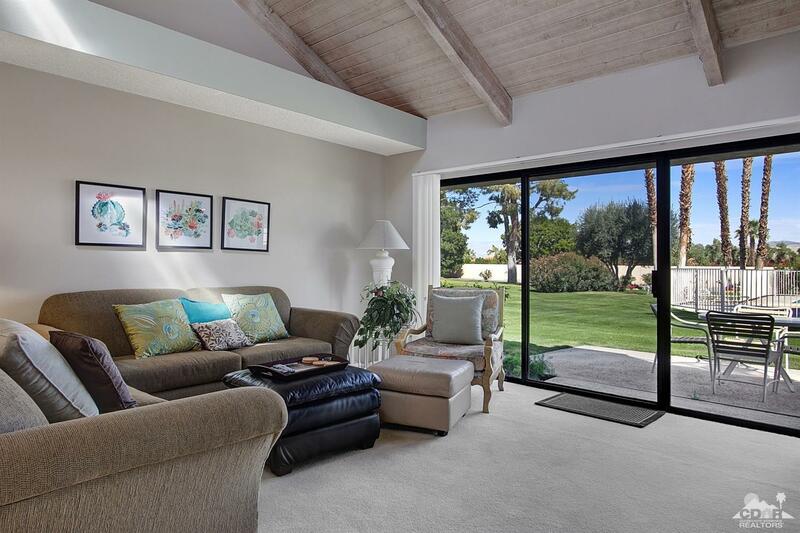 All furnishings, TV's & Artwork can be included for a complete package for you to start enjoying the ultimate country club lifestyle.